Medousa is an eye-catching resume template featuring a large charcoal header. Two-column layout. 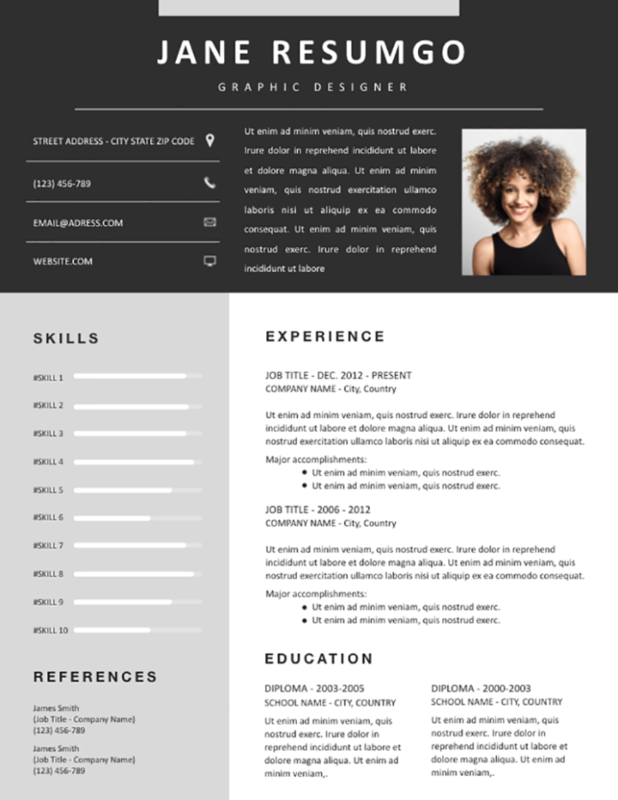 Are you looking for a template that will get your resume noticed by employers? Medousa will certainly meet these expectations! This template features a massive, full-width dark banner on top of the page, where you can place your name, job title, contact information, ID photo, and your profile/objectives statement. The left part, with a light gray background, will outline your key skills (horizontal bar charts). Use the right part for your most important information: your professional experience and education.